Handheld devices like smartphones and tablets are almost commonplace in examination rooms worldwide. But are they being used for applications they shouldn’t be? The answer is yes, no and maybe, especially when it comes to radiology. Many radiologists are incorporating handheld devices into their practice, but it’d be wise to take a closer look. Why? Because a wide range of studies have been completed and are underway, comparing image viewing on mobile devices versus desktops. And there are several concerns. Small screen size versus a desktop screen: The studies that have been done regarding image size have conflicting results. Some studies have found that reducing the size of the image degrades performance for certain abnormalities, while others suggest it can actually improve detection. However, the spatial resolution/pixel pitch and noise characteristics of handheld devices are considered as good or even better than those on a desktop. Image reading from a CT or MRI study requires an appropriate display with at least 3-megapixel resolution and a screen size of 9 inches. Brightness and contrast: In a 2013 study of desktops and handheld devices, tablets and smartphones met the minimum and maximum luminance values recommended for displays by the American Association of Physicists in Medicine in 2005, but some would fail under the 2012 image display recommendation by the AAPM/American College of Radiology/Society for Imaging Informatics in Medicine. Calibration: Display non-uniformity is a concern, especially since there have not been many studies about handheld devices in radiology. However, tablets can experience luminance variance up to 30% from the DICOM GSDF standards (much more than the 10% variance you get with a calibrated monitor.) Some vendors are introducing calibration capabilities, including a MediCal QA Web Mobile app from Barco. Patient privacy: Mobile devices have security risks. They can easily be lost, and with them, patient data stored on them. 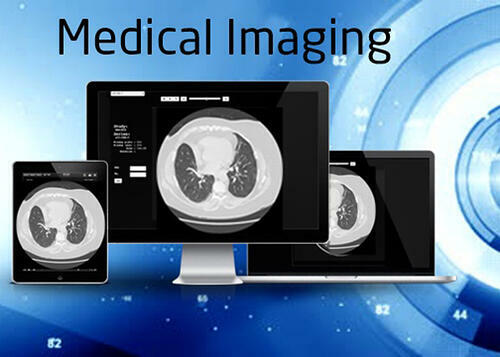 Public cloud storage like Dropbox and Google Drive are also not meant for sharing or storage medical images, but many healthcare professionals (especially younger doctors) are doing so. While there are apps for clinical purposes, like WhatsApp, in most cases the patient’s name or photo is included in shared information—again, violating patient privacy. However, sharing and collaboration through social media can also save lives. In many instances, it takes a while for legislation and best practices to catch up with technology. It will be interesting to see how the use of mobile devices evolves in the next year. 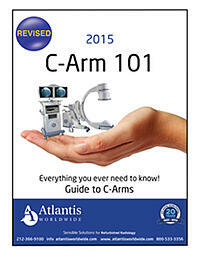 If you have any questions about radiology technology, or are in need of refurbished medical imaging equipment such as CT, MRI, PET/CT, C-Arm, Mammography or X-Ray for your practice, talk to the experts at Atlantis Worldwide. We’re always here to help. 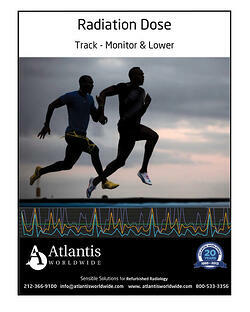 Contact Jeff Weiss at 212-366-9100 or Jeffweiss@atlantisworldwide.com for your medical equipment needs.